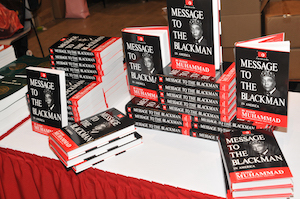 However, for members of the nearly 90-year-old Islamic movement and for Black people, it is that but so much more. Saviours’ Day is the commemoration of the birth of Master W. Fard Muhammad, the Messiah of the Christians, Mahdi of the Muslims and teacher of the Most Honorable Elijah Muhammad. He was born February 26, 1877 in the Holy City of Mecca in Arabia and traveled to America in search of the Black man and woman of America stylized in scripture as the “lost sheep.” Master Fard Muhammad began the process of resurrection and restoration of a people who have been influenced, molded and destroyed by a wicked enemy for over 460 years. “From the Judeo-Christian perspective the bible is prophesying of one that would come under the title ‘Son of Man’ and ‘Son of Man’ means as the Hon. Elijah Muhammad taught us—out of the longing and the yearning of the people for change, a leader is produced that brings about a change that the people desire. So this Son of Man comes out of the longing of humanity to be freed from the great anguish, suffering and disappointment that these last 6,000 years have produced under Satan’s rule,” explained Student Minister Ishmael R. Muhammad, national assistant to Min. Farrakhan. This ‘One’ comes as a saviour, redeemer and deliverer of the people from the mind and clutches of Satan’s world,” Min. Ishmael Muhammad continued. Saviours’ Day is a time of joy, righteous fun and is also a time to engage in the real work of nation-building and where participants delve deeply into the practical application of the teachings of the Master, the Messenger and their Servant. 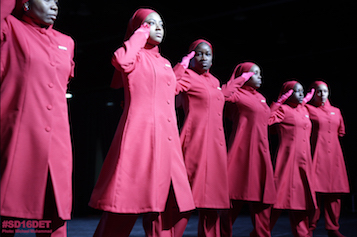 ““This year the focus is going to be on the coming of the Saviour which means the execution of the program of the Honorable Elijah Muhammad under the Honorable Minister Louis Farrakhan,” said Student Minister Ava Muhammad, national spokesperson for Min. Farrakhan and the NOI. The Executive Council, Laborers and their staffs are working diligently and around the clock to make this year’s Saviours’ Day impactful and a huge success. In addition to informative workshops on a variety of topics presented by several of the ministries of the NOI, there will be at least three major seminars or plenary sessions, explained Dr. Ava Muhammad. “One will focus on ‘The Showdown,’ that the Honorable Minister Louis Farrakhan called for amidst these relentless charges of anti-Semitism. He wants this showdown, a final confrontation between himself, those of us who are with him and those who are leveling these charges and that includes both individuals and organizations,” she explained. Members of the Jewish community charged by Jesus in the Bible as being the “Synagogue of Satan,” other Whites and some of their Black apologists have been unrelenting in their attacks on Min. 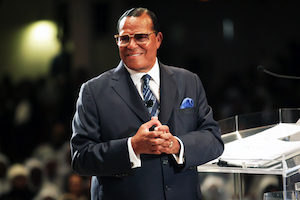 Farrakhan particularly since last year’s Saviours’ Day when the fearless 85-year-old leader challenged his detractors during his keynote message to prove their lies and mischaracterizations. He exposed their manipulative hand in the affairs of Black people throughout history, and their assault on Min. Farrakhan goes back over 30 years. The Synagogue of Satan are devilish Zionists, powerful people in the Jewish community and others who use knowledge and influence in opposition to the commands of God, Min. Farrakhan has explained. The effort includes people of different races and religions, who deliberately engage in evil and promote immorality. The ADL, Southern Poverty Law Center, Attorney Alan Dershowitz, various media pundits, political analysts and politicians have engaged in endless, tired diatribes against a man who has been an advocate, defender and redeemer of the despised and rejected Black man and woman. There will also be a major session on real estate acquisition, land and economic independence based on and rooted in the program of the Hon. Elijah Muhammad who taught the importance of Blacks doing for self, going into business with one another, creating jobs for their people and acquiring land to grow their own food. “Economics play a very significant and vital role in securing a better future for ourselves so that we are not dependent on others with $1.2 trillion coming in to our hands but that $1.2 trillion circulates only for six hours before it goes into the hands of other merchants and businesses that are profiting from our disunity and our reckless and careless spending habits,” said Student Min. Ishmael Muhammad. He explained the session on economic development will delve into the importance of what Black people must do to pool their resources and work in a collective manner to fund institutions in their communities, open factories and other businesses to employ Black youth and enter into international trade and commerce. The session will include strategies that attendees can implement back home in their respective cities, he explained. “One of the objectives of the session is to give marching orders if you will and practical steps that each member of our community can take in order for us to move toward greater economic solvency and independence,” he said. A presentation on disaster preparedness is also planned. Another significant session will focus on Separation, said Min. Ava Muhammad who embarked on a national tour last year presenting town hall meetings in nine cities about the subject. “All of this is leading toward a referendum. There’s no precedent for this in history in this country, but it is in the fulfillment of scripture that the descendants of slaves at a certain time are to come out from under the rule, oppression and presence of the slavemasters and their children. We are actually implementing God’s plan under the direction of Min. Farrakhan,” she explained. The session will explain exactly what separation is, what it looks like and how to go about achieving it. It is not a concept, idea or motivational tool but is a reality firmly rooted in scripture, said Min. Ava Muhammad. Saviours’ Day weekend attracts people of all ages and religious backgrounds. 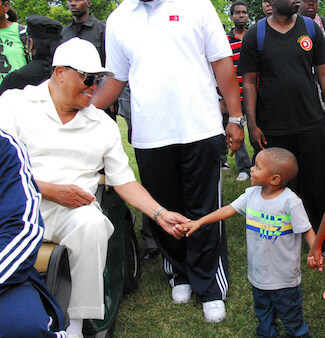 One of the most popular events includes Mother Khadijah Farrakhan’s Children’s Village. Mother Khadijah and Children’s Village volunteers are working tirelessly to ensure young people are engaged in and excited about their Saviours’ Day experience. “As we were planning for the children to have fun and to be engaged in activities that would make them excited about Saviours’ Day, Mother Farrakhan felt that it was very, very important that they also know what they’re celebrating and that they also have a connection to the pioneers and what they have done to get Islam established,” said Tania Muhammad, who along with Jonnita Dockens are co-coordinators of the Children’s Village and have worked with Mother Khadijah and her daughter Maria Farrakhan the past several years in this effort. 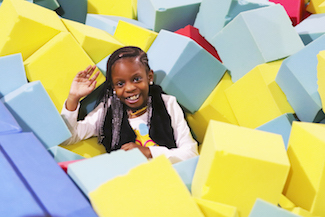 This year the Children's Village will be a one-day event at Gizmos Fun Factory in Orland Park, Ill. on Saturday, Feb. 16. 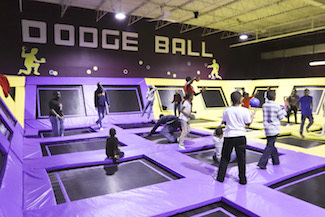 It will include a variety of hands-on workshops, face painting, tinker tot toyland, rock wall, more than 80 arcade games, zip lining, laser tag, go-karts, bumper cars and Mother Khadijah Farrakhan’s Gift Center. 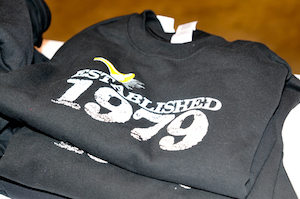 Aviation in the Nation is back with their exciting family friendly flight simulation workshop. Saviours’ Day 2019 year marks 64 years of Min. Farrakhan working in the mission of his teacher, 42 years in his absence and this year also marks the 40th anniversary of The Final Call the critically-acclaimed, award-winning newspaper, founded by the Minister in 1979. It is a joyful and spirited occasion that is looked forward to by members of the Nation of Islam and the Black community. This Saviours’ Day is not only going to give you the spiritual enlightenment and revitalization but we’re going to walk through some of the methodology and nothing is more important than understanding and acting upon the call for separation because that is the plan for our salvation. The plan God gave us for our salvation is separation,” said Student Min. Ava Muhammad. There are so many various crises and troubles gripping Black and other communities in the U.S. and abroad and in a time of trouble, guidance is needed, said Student Min. Ishmael Muhammad. “With all of the things that are happening we are fortunate and blessed to have divine guidance from God through his servant, the Honorable Minister Louis Farrakhan. It is in our self-interest to come and hear what Min. Farrakhan has to say that is good for the individual personally, good for the protection, safety and better future of of family and community,” he said. 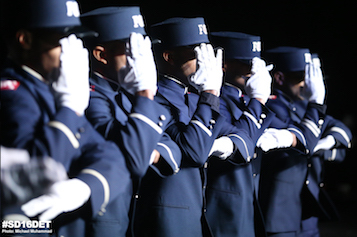 For updates on Saviours’ Day including information on registration, Sunday tickets, hotels, workshops, Children’s Village registration and more, visit noi.org.